The Pito Deep, a four-mile-deep rift near Easter Island, enables scientists such as Jeff Karson, who supplied the photo, to closely examine the structure and formation of the Earth’s crust. 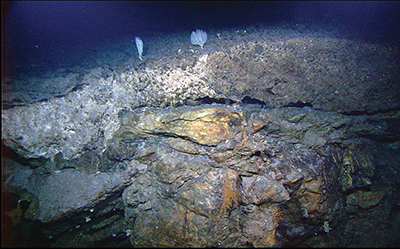 A professor in the College of Arts and Sciences has published a much-anticipated book on the geology and biology of the oceanic abyss. 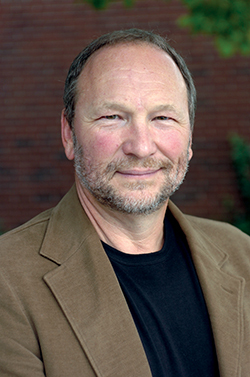 Jeff Karson, professor of Earth sciences, is the lead co-author of “Discovering the Deep: A Photographic Atlas of the Seafloor and Ocean Crust” (Cambridge University Press, 2015). The book contains more than 500 original illustrations and color photos, along with a suite of online resources and exclusive videos. Karson wrote the book with Deborah Kelley, professor of oceanography at the University of Washington; Daniel Fornari, a marine geologist and senior scientist at the Woods Hole Oceanographic Institution (WHOI); Michael Perfit, professor of geological sciences at the University of Florida; and Timothy Shank, an associate scientist in biology at WHOI. 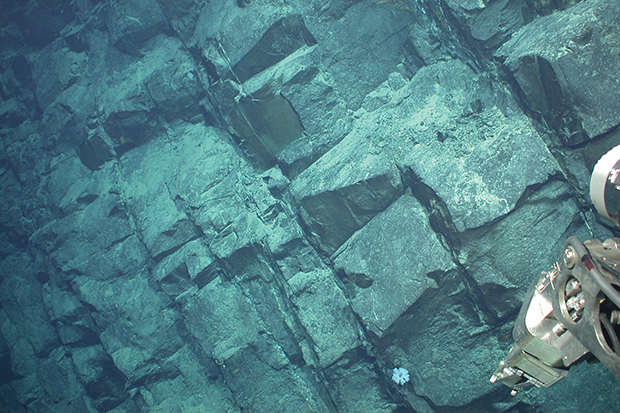 Karson says the book will transport the reader to bizarre landscapes, whose exotic life forms rival the “most imaginative science fiction.” Starting with a historical summary of seafloor exploration, “Discovering the Deep” describes the geologic components of the Earth’s oceanic crust and the processes that have created it. Special emphasis is placed on the unusual biological communities that are indigenous to the mid-ocean ridge system. Hidden by a veil of oceans, the mid-ocean ridge is a continuous chain of volcanoes and rift zones encircling the Earth, much like seams of a baseball. Scientists know that, over geologic time, new oceanic crust has formed among these ridges and, in the process, has repaved the seafloor. Karson says many of the images were captured by human-occupied or robotic vehicles in the still, lightless abyss, utilizing the latest in deep-sea lighting and imaging technology. “The book will be an indispensable resource for students, educators and researchers of marine science,” he adds. Along with Robert Wysocki, an assistant professor of art in the College of Visual and Performing Arts, Karson is founder of the Syracuse University Lava Project, which creates natural-scale lava flows for scientific experiments, educational demonstrations and artistic creations.